The Hein Law Firm is a St. Louis, Missouri law firm specializing in United States Immigration attorney legal assistance, helping foreign nationals resolve their visa and residency status to legally live and work in the United States. We provide legal assistance with Visas, defense from removal (deportation), as well as a broad range of immigration related legal services in response to our clients’ needs. Because we are a leading bilingual (Spanish-speaking) full-service law firm, our active practice in the immigration and international sphere has earned us the reputation of a results driven organization, assisting those from outside the State of Missouri with legal needs inside the United States of America..
Richard Hein is the principal attorney of the Hein Law Firm, his experience spans over 18 years of serving the community as a dedicated and tireless defender of the Law in Missouri. 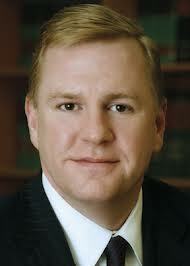 In 2003 Richard Hein founded the Hein Law Firm to help serve the growing immigrant community in St. Louis. Richard is a member of the board of directors of the ILF, an international organization for the cooperation of lawyers from around the world. Mr. Hein is also an invited speaker and professor at several international Law Schools and has the accreditation of the United States Supreme Court and is a member of the Missouri Bar Association. Richard Hein has a long successful track record of winning cases for his clients and has the legal experience to help defend and represent your interests in Missouri’s Courts. Richard is closely linked to the Hispanic Community in Saint Louis having participated in Radio programs addressing popular and controversial migratory reform in Missouri and accross the country. His values and tireless efforts towards insuring immigrants get a fair share of the American Dream have made him well respected and valued in the communities in which he serves. The Hein Law firm serves the City, County of St. Louis as well as surrounding counties in Missouri and Illinois to include, Fairmont City, Granite City, Alton, Grafton, Belleville, Shiloh, St. Charles, and all other communities. We also have offices in Mexico City, Mexico and Buenos Aires, Argentina. Call today to get started. You can also use our useful contact form to reach us.